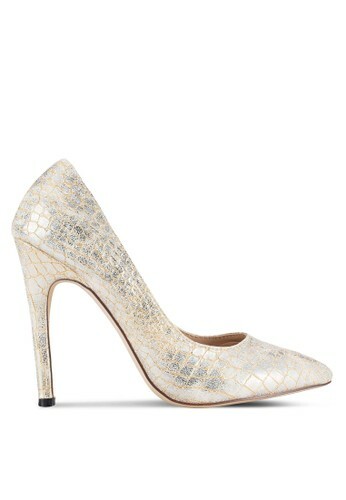 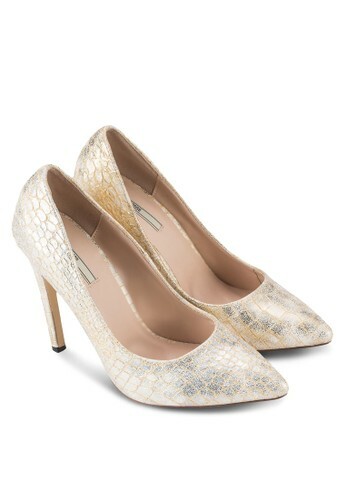 Unleash your feminine side, with a twist, in these Metallic Croco Print Heel Pumps from Nose. 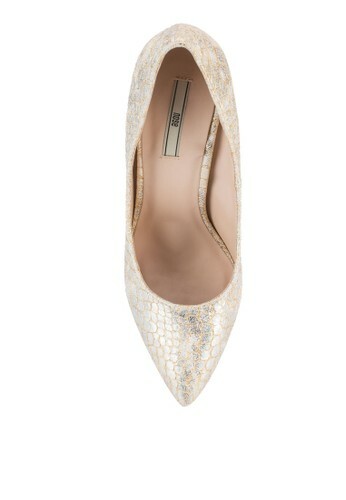 Featuring the gorgeous croc print in metallic synthetic finishing, it is elegant with a bit of a wild vibe without losing sophistication. 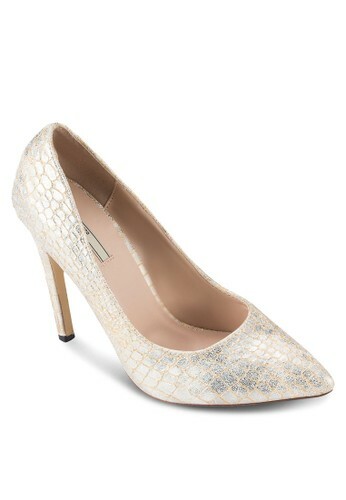 The pointed toe silhouette also helps to exude just the right amount of charm.